"As a Part-time PI and fulltime grim reaper, Charley Davidson has asked a lot of questions throughout her life: Why can I see dead people? Who is the hot supernatural entity following me? How do I get gum out of my sister’s hair before she wakes up? But, “How do I trap not one malevolent god, but three?” was never among them. Until now. And since those gods are on earth to kill her daughter, she has little choice but to track them down, trap them, and cast them from this dimension. 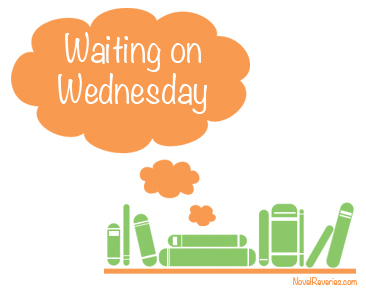 The Curse of Tenth Grave continues the Charley Davidson series and comes out at the end of the month, so I HAD to make it my Waiting on Wednesday feature today! 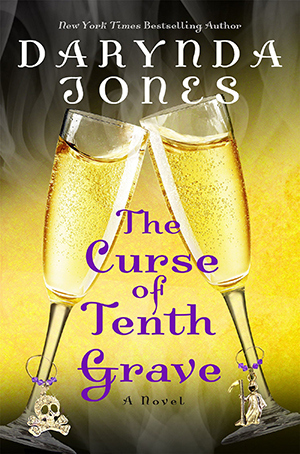 As mentioned in my review, The Dirt on Ninth Grave really refreshed the series for me, which I felt was much needed. In true Darynda Jones' style, it was done humorously and cleverly and I'm even more excited to see what the future holds for Charley, Reyes and the gang!! It looks interesting. Congrats on getting approved. I'm a new Bloglovin' follower. If you'd like, please stop by and see today's brew,Cafinated Reads' WoW!